Vendor - Slatter Management Services, Inc.
Slatter Management is excited to announce that we can now pay vendors by ACH. By providing your bank account details we will now remit payment of your invoice electronically. This method will greatly improve efficiencies and will ensure vendors are paid as soon as the invoice is approved. 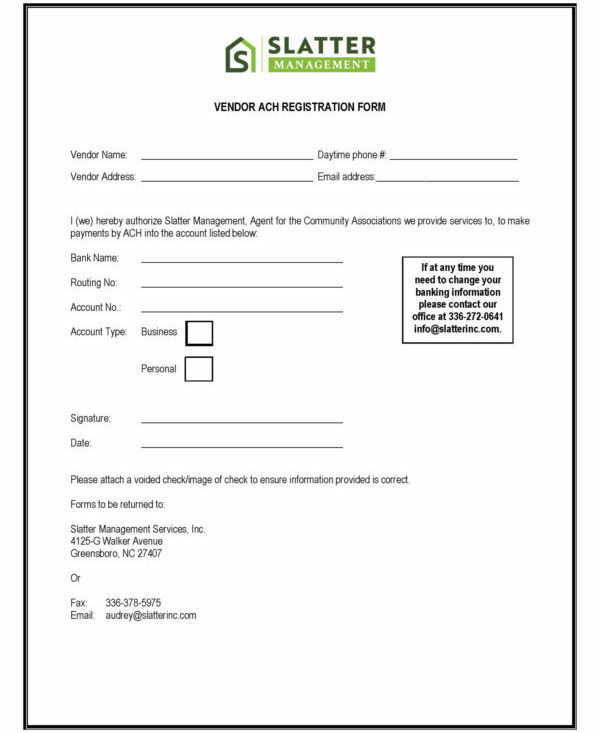 Please fill out the Vendor ACH Form and return it to Audrey Prevatt for processing. Once your information has been entered you will start to receive notification via email when a payment has been deposited into your account.